The long holiday weekend here in the states is perfect for getting together with your relatives. Mobile gaming is the perfect way to take your mind off that horrible possibility. Let's see what we've played this week, shall we? Only four games were showcased this week instead of the normal five, but one of them was Hydro Thunder Go for the Windows Phone 7, which is easily worth any two iPhone games. 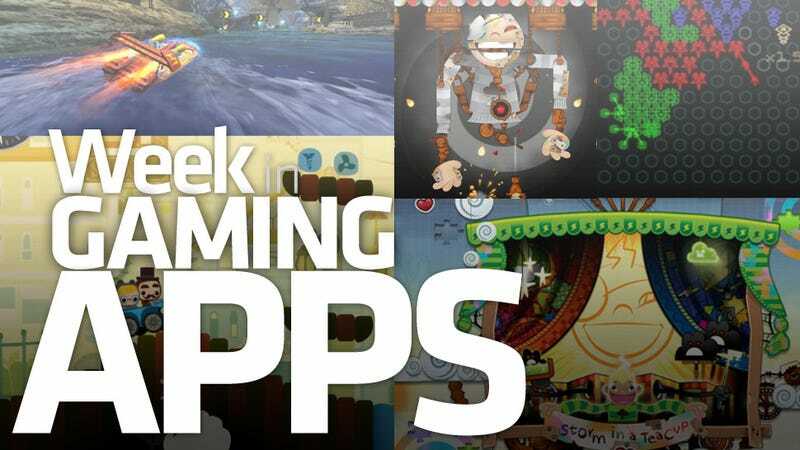 Now that the Windows Phone 7 gamers have wandered off to gloat, check out the three amazing iOS titles we futzed around with this week. Bumpy Road or Storm in a Teacup versus Hydro Thunder? No contest, my friends. If you have a suggestion for an app for the iPhone, iPad, Android or Windows Phone 7 that you'd like to see highlighted, let us know.